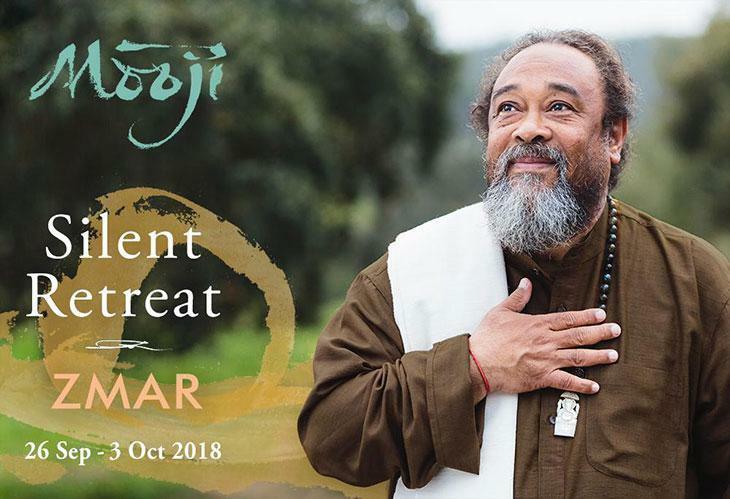 It brings great joy to announce that Mooji will be offering a 7-day Silent Retreat at the beautiful Zmar Resort in southern Portugal, from 26 September to 3 October 2018. This retreat provides a most auspicious opportunity for genuine seekers of Truth to be fully immersed in the energy field of Satsang without the distractions and demands of daily activities. Mooji invites you to uncover the true nature of your own being using the simple and effective tools of self-inquiry and the Invitation. With great clarity, wisdom and love he inspires deep introspection and makes it very evident that real and lasting freedom is possible for everyone! There are two ways you can join this retreat, either in physical attendance at Zmar or through joining the online event from home via the live broadcasts. The Satsangs of this retreat will also be live translated into Portuguese, French, Italian, Russian and Spanish. You can find out everything about participating in this event here.